April Fool's day was spent driving 7 hours north, across the border to Scotland. Staying just south of Loch Lomond. The purpose of the trip was to attend a Jessops experience day at the Loch Lomond Birds of Prey centre. As always an amazing day with unprecedented access to some magnificent birds of prey including a goshawk and buzzard and my favourites the owls! Of course, it would be considered rude not to see some of the sights around lake, including the Falls of Falloch. 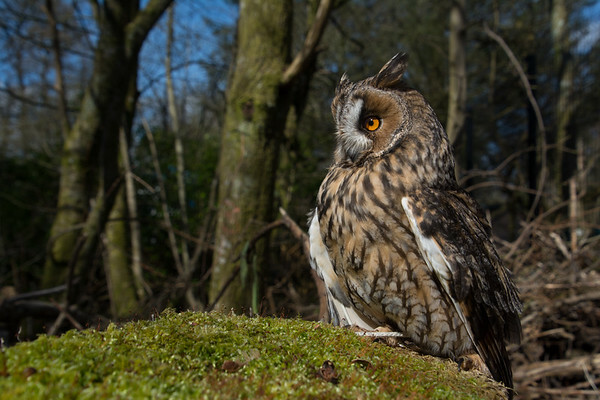 To see the photos, go to either the birds of prey or travelling the UK sections. 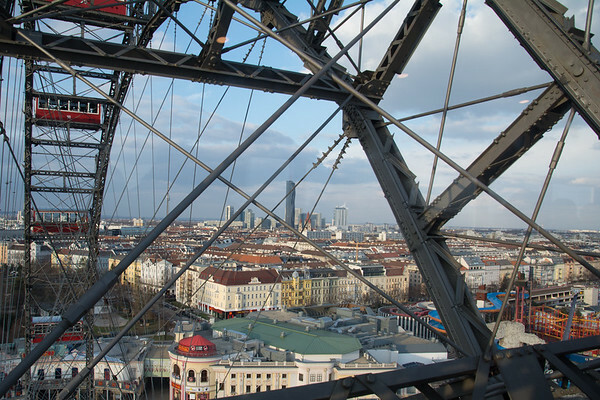 In March I had a whistle stop tour of Vienna. Whilst there's plenty of reasons to return, I did manage to see quite a lot of the city in two days! It is one of the cleanest cities I've been to. Every building is gleaming. Not a scrap of litter anywhere. In early March I visited Dudley Zoo in the West Midlands, somewhere I haven't been since I was a child. 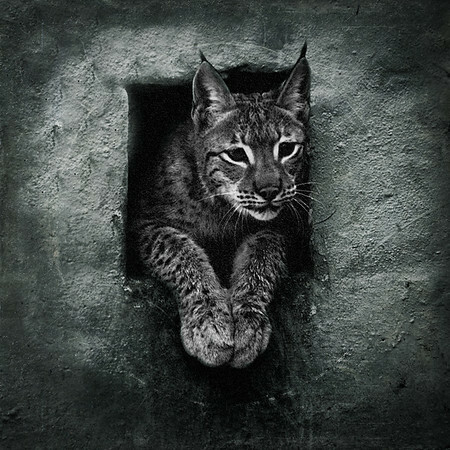 I am torn when it comes to zoos, with a strong belief animals should be in their natural environment. 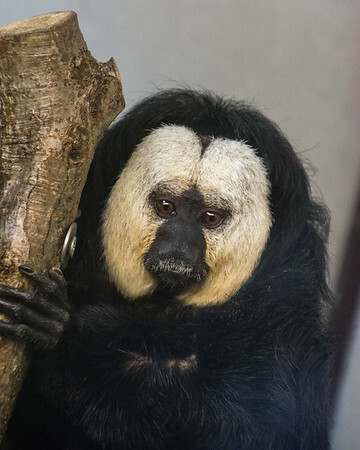 However, with more and more animals being added to the endangered list, zoos are one of the best ways of ensuring they survive. They also help raise awareness and provide many people with access to see some of the beautiful animals we share the planet with. Dudley Zoo is celebrating it's 70th birthday this year! All of the animals were very well looked after and the staff were really friendly and happy to share their knowledge and obvious love for the animals they care for. Searching for some winter sun took me off to Mauritius in January 2017. It's fair to say I found it. Glorious 30 something degrees every day! 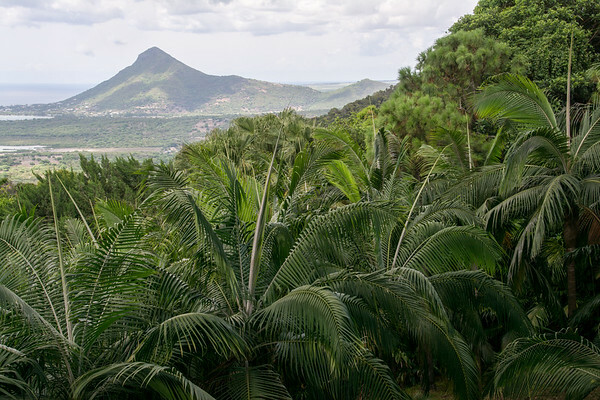 Mauritius is a beautiful island, in the Indian Ocean, about the size of Kent. Much greener than I imagined, with a fascinating history of ownership through from Portuguese, French and English before gaining its independence last century. Whilst English is the official language, French and Creole are the most widely spoken languages almost the locals. I only got to visit the south side of the island during my visit, taking in a tea factory, rum distillery and a couple of colonial houses, not forgetting the magnificent giant tortoises. While they were once native to Mauritius all the islands tortoise population have now been bought in from the Seychelles. In September I spent a week exploring Bavaria. 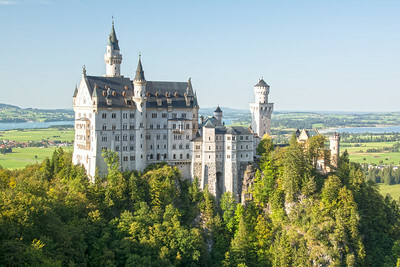 It was my first visit to Germany and top of the list of places to see was Neuschwanstein Castle, pictured here. The fairy tale castle built under instruction from King Ludwig II in the 19th Century. Based just south of Munich on Amersee, which itself is beautiful, proved to be the perfect base for exploring. Photos can be found on the 'Travelling Further' page - take a look! I have recently stumbled across a tiny piece of Africa in the heart of the West Midlands. A garden centre called Akamba! Not your typical garden centre, there's the most beautiful garden sculptures amongst the huge tropical plants, all for sale. There's a gift shop and coffee shop, with seating around the garden. There's even a beach! I was lost in the bird tunnel! 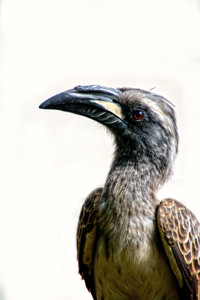 There's a huge variety of birds, native to Africa, some of which are very used to their human visitors. Morris the Minor Bird and Zazu the African Grey Hornbill both tried to carry out a bag search when I wasn't looking... I have added the pictures taken here to the birds section of my gallery, please take a look. I have just returned from a fabulous two week break in Italy. Whilst there I spent three days in Rome. I have to say I was captivated with the Colosseum! Such an impressive structure. I have added some of my favourite photos of Rome to the Italy section of my gallery, please take a look to see the sights, including the Trevi Fountain, the Pantheon and of course the Colosseum. During my recent Italy visit I was lucky to be able to spend two days in the UNESCO World Heritage site, the National Park of Cinque Terre. Literally translated as the 'five lands'. 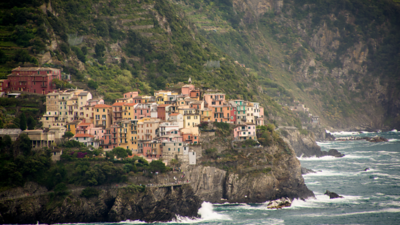 The area is made up of 5 principal towns perched on the sheer cliffs of the north west coast of Italy. Monterosso al Mare, Vernazza, Corniglia, Manarola, and Riomaggiore. Each village is reached by train, walking trails or boats. Cars can not access the villages, adding to the beauty of the area in my opinion! 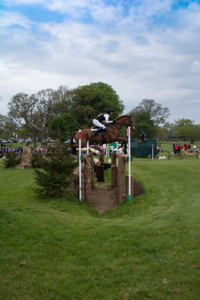 It was a glorious sunny day on Saturday, so headed down to Badminton to watch the cross country riders brave some of the biggest fences I have ever seen. As always, my camera was at my side and I caught some of the action - although I have to admit there were times when I forgot to raise the lens and simply enjoy the atmosphere. If you enjoy equestrian events, this is a must for the list. Badminton House itself stands proud alongside the action. On 24th April I shared the day with the big cats at the Cat Survival Trust in Hertfordshire. This was organised by the Jessops Academy - just one of their fantastic training courses. If you didn't know this place was there you would pass right by. In fact friends who live less than 5 miles away have actually cycled past it, oblivious! (They are planning a visit now though!) The trust is a charity, managed completely by volunteers, rehoming big cats that find themselves surplus to requirement elsewhere. All of the animals there were bred in captivity. With the team at Jessops and the team at the trust we were guided about how to approach the cats both for optimal photography and so not to disturb the animals. I was able to get very close to the cats, albeit through a single fence and hopefully you will agree captured some great shots. To view the full gallery go to the UK section and you will find Cat Survival Trust. If you want to find out more about this fantastic place and the work they do both here in the UK and throughout the world please visit their website. http://catsurvivaltrust.org Jessops academy course details can be found on their website. Thanks for taking the time to read about my experience and I hope you enjoy looking at the photos. It may have been cold, but the sunshine was out on Saturday, so off I went in search of bluebells. 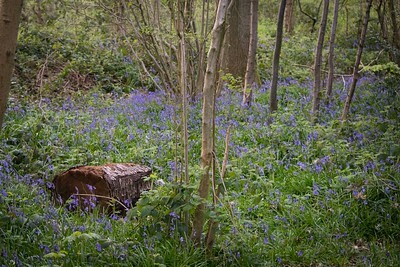 Some of the local woodlands were generously carpeted in bluebells - the air was full of the sweet scent of the flowers. I love England - such beautiful countryside. Photos uploaded this month include my attempt to give a little justice to the beauty of Egypt. 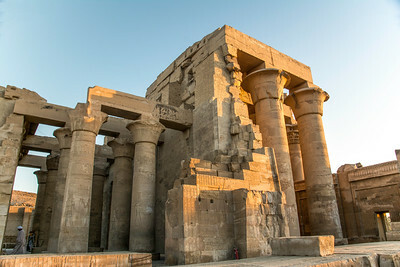 During my stay I was lucky enough to visit some amazing historic sites, dating back up to 4000 years including Karnak, Luxor Temple, Dendera, Philae Island and my personal favourite Kom Ombo. I can't tell you how much I enjoyed visiting Egypt. It is a magnificent country and Suggest everyone should visit at least once in their lifetime. I am certainly hoping to return! 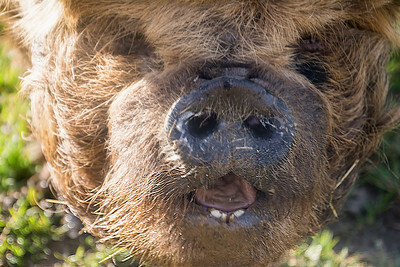 Over the coming weeks I will be adding a selection of these photos to my Photo4Me and Photobox gallery. If you don't see your favourite for sale, be sure to let me know through the contact me page. On Tuesday 10th November 2015 I attended my first gift fair armed with stock of some of my favourite photos in various sized mounts, some framed and calendars made of 12 of my favourite flowers. I really didn't know what to expect. To say I was nervous was an understatement. However I needn't have been. Karen and Harry made me very welcome at the pub and I was given a large area to display my wares. A large number of friends and family supported me on the day, bringing their friends and family too.